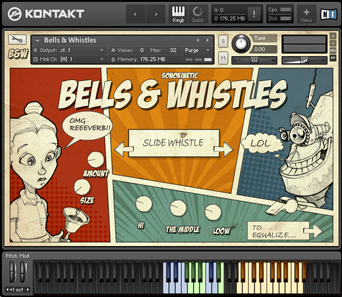 Sonokinetic is not new to sampling metal instruments, we have done the very large with ‘Toll’, the medium key-played with ‘Celesta’ and various sizes played with sticks and hammers with ‘Mallets’, the weird with ‘Fe’ … and of course we did ‘Sleigh Bells’. What we didn’t do yet was the very small, and that is exactly what we set out to do with this new project ‘Speeldoos’. Who cannot remember the small iron concoctions with a little handle from their youth, the ones you would place on a chest, table or any, preferably hollow, object to amplify its sound (ours played Beethoven’s Für Elise). There is something magical about these very simple devices that touches your heart and conveys emotion, even though the thing is purely mechanic. 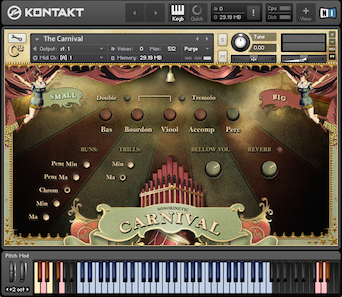 Maybe it’s a Dutch thing, that also drew us to the mechanical organs recorded for ‘The Carnival’, but we cannot help getting thrown back to our youth playing this thing (preferably slightly uneven and at varying tempi). We decided to name this Sonokinetic version of the Music Box by its Dutch name ‘Speeldoos’, as some of you might have already deciphered with a little help from our friends at Google. Featuring in this product is an original Swiss made Music Box that we recorded with the highest regard for sound quality and authenticity. With the precision of a Swiss watch we assembled a unique recording setup to give us access to the minute teeth of the steel tuned comb, allowing us to record multiple round robins for each tooth with a pin pluck, in the process getting some more practise in the art of standing very still and holding our breath for prolonged periods. ‘Reuge' is known for producing the best and most prestigious musical boxes in this field. Instead of recording an antique one that might cause tuning issues, we invested in a brand new perfectly tuned musical box of this brand. 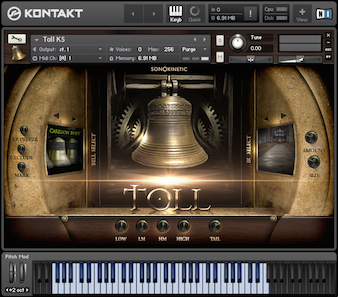 ‘Speeldoos’ offers a 4,5 octave range instrument for the full version of Kontakt 5.1 and higher. Each note has been sampled at 44.1kHz 24BIT in ncw format with up to 5 round robins, and for the first time in musical box history it is possible to play this instrument with the original steel comb in three velocities. Musical boxes originally do not offer a multiple dynamic range due to the way the triggering of tones is done by a steel automated spring wound pin cylinder, somewhat similar to how a harpsichord or spinet triggers their strings. 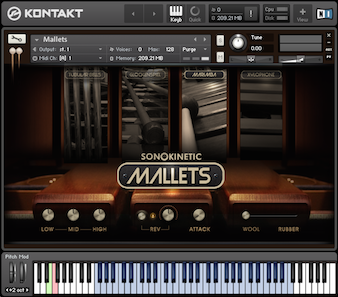 Nevertheless, we found a way to trigger tones by hand with a sharp tweezer and record P, MF and F tones for this brand new Sonokinetic sample library. We hope this new instrument will find its way into your sample collection and will suit you on numerous occasions in your Christmas, fairytale or fantasy composing template. The basic method of playing Speeldoos is to play within the blue key range. This triggers notes that cycle through available round robins. The keyswitch at C1 resets the round robin cycle back to the beginning again. The blue keys at E and F provide the Speeldoos sound effects. The key switch at A1 activates and deactivates octave doubling mode. This key switch is velocity sensitive. It is activated with a velocity greater than 84 and deactivated with a velocity of 84 or less. A mono mic position and a stereo mic position are provided within Speeldoos. The volume level of each position can be mixed using the controls shown left. 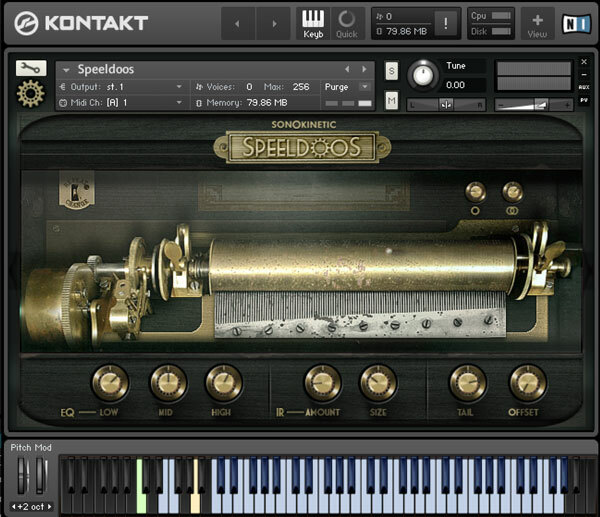 The tone of Speeldoos can be changed using the 3 band EQ provided. Raise or lower the levels of Low, Mid and High Bands to taste. Speeldoos includes a special convolution reverb. The amount of reverb and the size of the room can be adjusted with the Amount and Size controls. The length of time a note rings out for can be controlled with the Tail control. A low setting will shorten the play length of notes, a high setting will lengthen the play length of notes. The note start position can be changed using the Offset control. Increasing the value steps further into the note. Every control can be reset to its default value by Cmd/Ctr clicking on the relevant control.